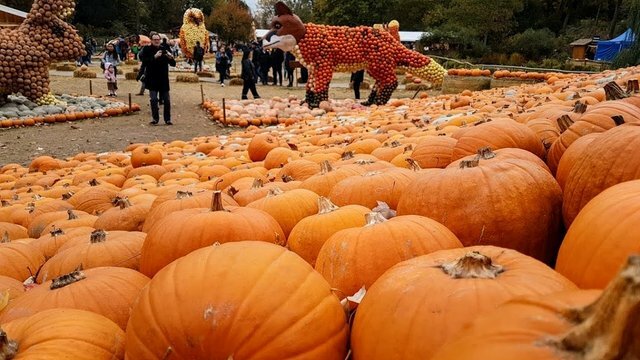 Standing amongst a sea of pumpkins at the worlds largest Pumpkin Festival in Ludwigsburg. The festival takes place from the end of August till beginning of November and has a different theme every year. It is located in the palace garden were you can find many huge pumpkin sculptures, pumpkin carving and of course some great food.